I went to Bogota and trained 2 days at Octagon MMA. 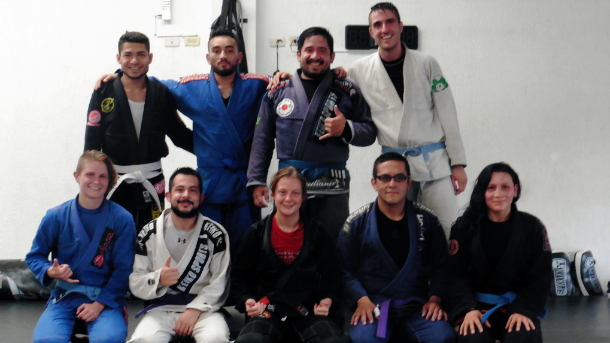 The first day was an holiday, so we did an open mat and for the second I taught a women only class. I had contacted Rafael, the only guy from BJJ Globetrotters who do matsurfing in Colombia and he offered to host me. 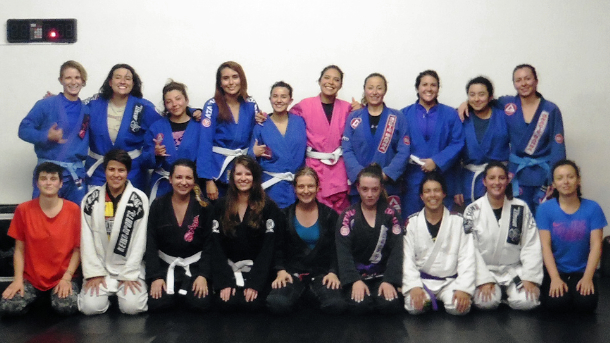 As he was a good friend of Lilith Arias, a woman who manages BJJ Sisters a BJJ women group in Bogota. He invited me to contact her to organize an open class only with women from different academies of Bogota. We did it and after gaving some techniques, we did a lot of short rolls so all women could roll with each other. I was impressed because we were 18 women and it was a lot. In Belgium, we are rarely more than 12. This class was really fun and we did more than 2 hours of class. 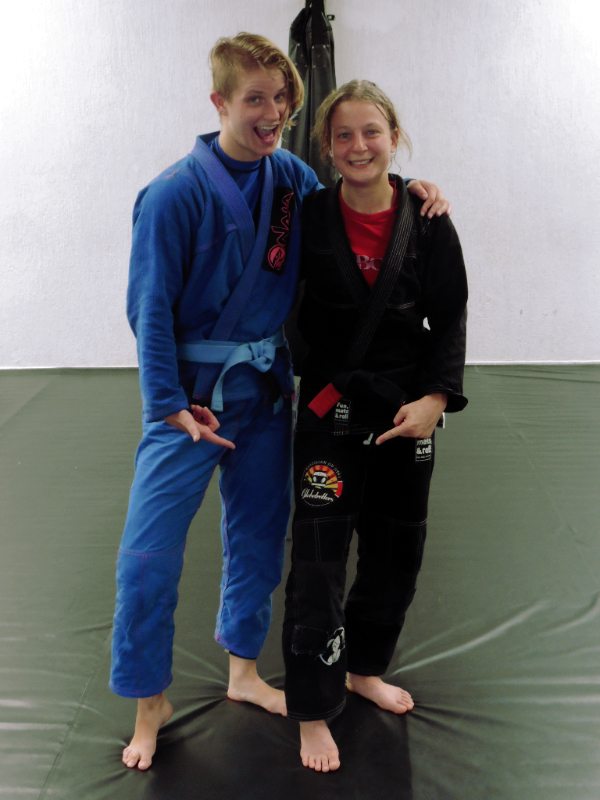 In Bogota, I met Rachel Wise, a really nice other BJJ Globetrotter who was travelling by bike. It was really awesome to meet her and to have some conversation about travelling and other stuff.